For carrying a compact pistol, ankle carry has always seemed a bit dubious due to otherwise weak holsters that weren't up to carrying anything beyond a snubbie or a pocket gun. A compact gun could easily fit; it's just not as feasible with the typical ankle rig. 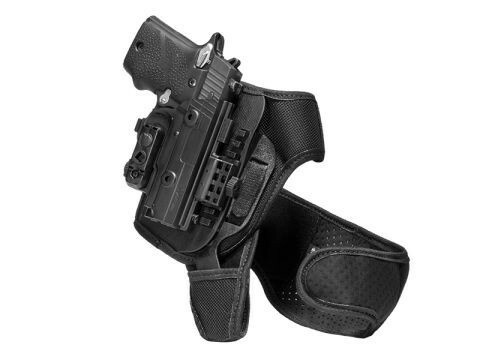 A Springfield XD Mod 2 Subcompact ankle holster would seem unlikely to carry all that well. Unless someone were to make an ankle holster for XD Mod2 pistols that could carry comfortably, securely and also reliably. That's what Alien Gear has created. 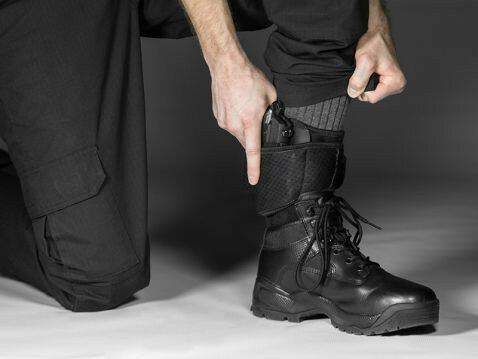 This holster will change what you think of as being possible with an ankle holster. 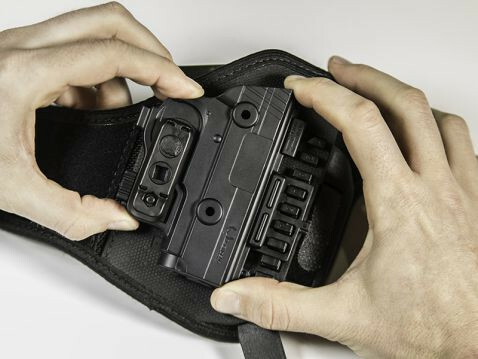 The first thing you'll notice about your XD Mod 2 ankle holster is the stability. The strapping is two-piece, with an ankle strap for the gun and a heel strap for support. 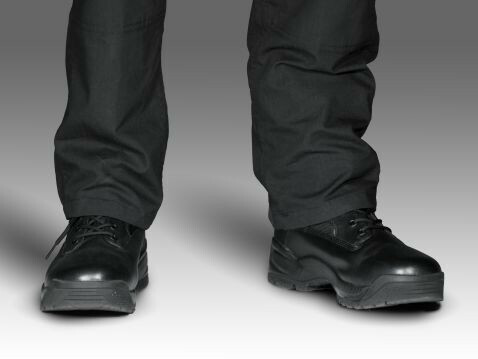 The ankle strap docks with a pocket in the heel loop via a durable polymer insert, creating both horizontal and vertical stability. The strapping also makes for an incredibly comfortable carry. The strapping material is our Cool Vent neoprene, which is plush for outstanding comfort while carrying. 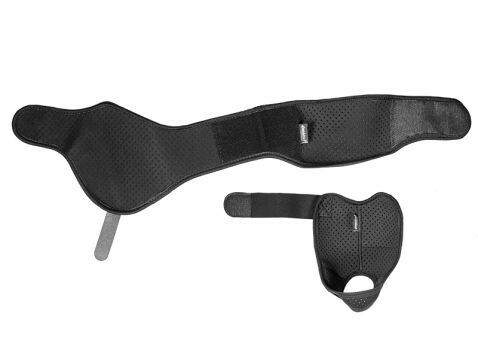 Don't worry about the typical hot spots and chafing that comes from typical ankle holsters. 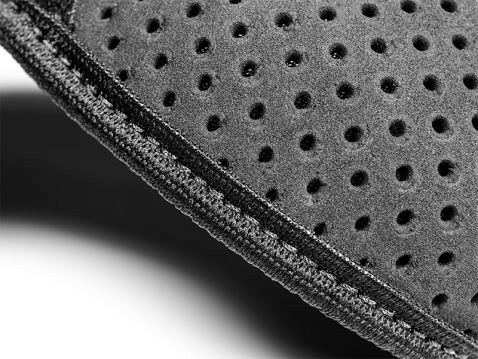 Cool Vent is a perforated neoprene, which breathes against the skin and wicks away moisture. 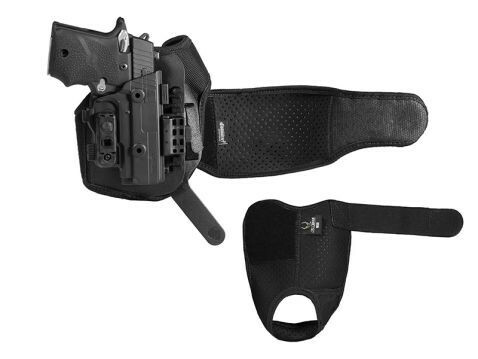 Substandard fit and retention are not issues with this XD Mod 2 subcompact ankle holster. The holster shell is custom-molded for the XD Mod 2 9 and Mod 2 40 pistols, fitting perfectly. Dial in the passive retention to exactly the setting you want, as well as ride height for the just-right carry position. You also don't have to fret about a product guarantee if you aren't sure about the holster in the long run. Alien Gear's Iron-Clad Guarantee includes a 30 Day Test Drive trial period and lifetime warranty on the holster against any defects or damages of any kind. Ankle carry has never been this good.